Join us for a hands-on webcast presented by Mike Westerfield author of Building iPhone and iPad Electronic Projects and see exactly how to connect an iPhone or iPad to an Arduino using a WiFi bridge, allowing you to control any Arduino project from your iOD device. How to use an WiFly to establish a wireless serial connection to any device. How to use this connection to connect an iPhone or iPad to an Arduino. 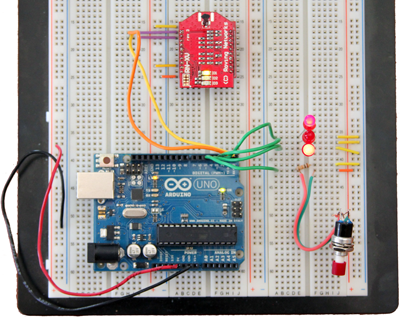 Use techBASIC to control the Arduino. Write a simple program to talk to the Arduino via the WiFly. Demonstrate the two-way connection by sending physical input from the Arduino back to iOS using a push button switch. Respond to the input by sending commands back to the Arduino. Born the same year as Steve Jobs and Bill Gates, Mike made the mistake of getting an education instead of getting rich. A slow learner, he graduated from the U.S. Air Force Academy in 1977 with a degree in Physics, earned an M.S. in Physics from the University of Denver, and was working on a Ph.D. when he started making more money from his sideline software company than from the Air Force. Since then Mike has developed numerous compilers and interpreters, software for mission-critical physics packages for military satellites, plasma physics simulations for Z-pinch experiments, multimedia authoring tools for grade schoolers, disease surveillance programs credited with saving lives of hurricane Katrina refugees, advanced military simulations that protect our nation's most critical assets, and technical computing software for iOS. 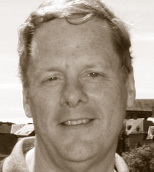 Mike currently runs the Byte Works, an independent software publishing and consulting firm. He is a PADI scuba instructor who lives in Albuquerque with his wife, enjoying being an empty nester and spoiling his grandchildren.